We are continuously looking for qualified and competent personnel with ro-pax experience. Chief Engineers - Recruiting now! Chief Officers - Recruiting now! Second Officers - Recruiting now! Second Engineers - Recruiting now! Cooks (Vacancies available - Previous experience as cook on Cruise / Ro-Pax is essential) (A ship cook certificate is required). 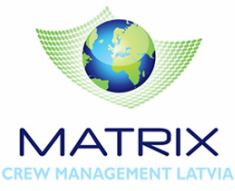 By making an employment application to Matrix Ship Management, its Agencies or appointed Agents I agree to the storing and processing of my personal data for the purposes which are directly and indirectly related to recruitment, the employment process and during the contracted period of engagement, for an indefinite period thereafter. I have the right to view and correct my personal data at any time. I have the right to request the deletion of my personal data, following the termination of employment or contracted period, from all stored files in accordance with the General Data Protection Regulation.